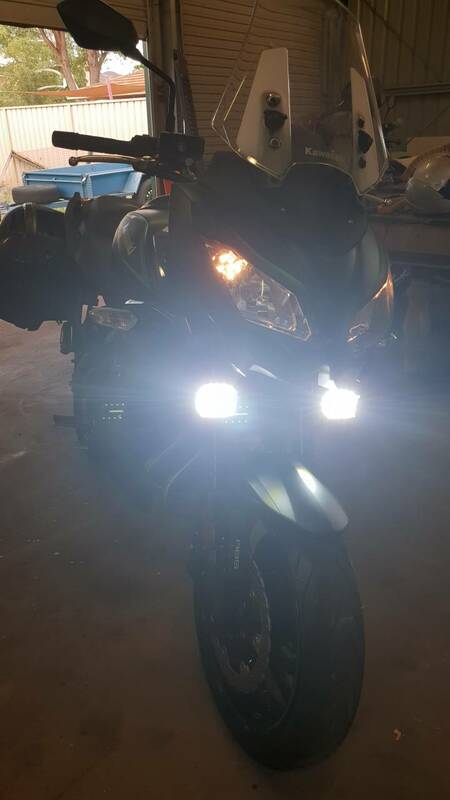 Kawasaki Versys Forum > Kawasaki Versys 650 Motorcycle Talk > Modifications - Cosmetic - V-650 > Anyone tried this ebay foglight kit yet? Anyone tried this ebay foglight kit yet? 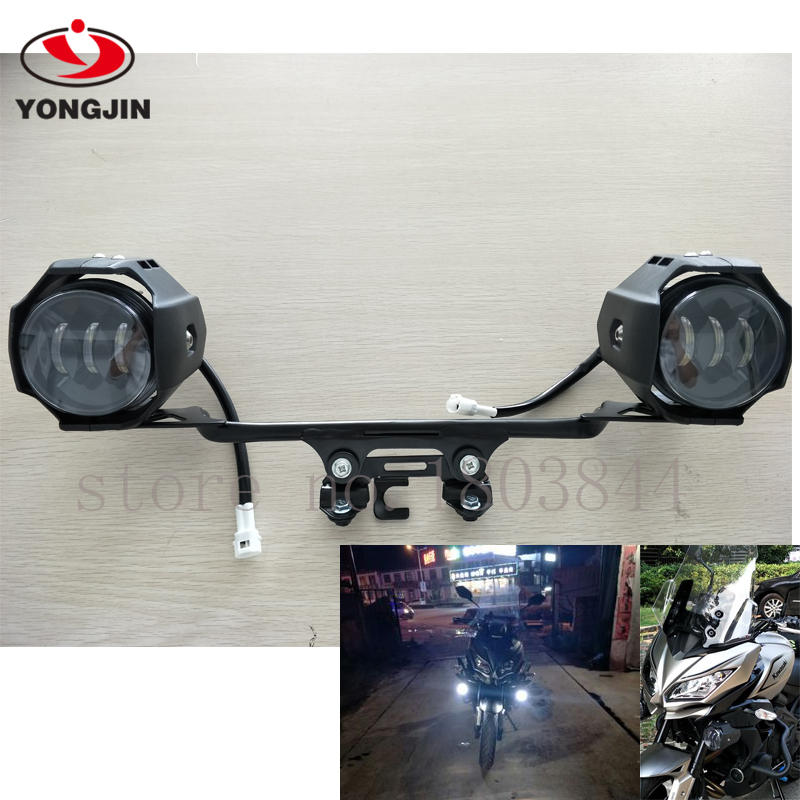 Looks like a replica of the kawasaki bracket with "similar" LED lights. I'm not expecting huge/quality light output but wifey need a help at night and those dont break the bank VS the OEM kit. Fastoman, Dakater and Stephen Hewett like this. As long as there is gas in the tank, there is hope. I've been researching this **** out of this subject. I have decided to just get ebay lights and wire it all in myself. It's all on the way from ebay now. I can post pics after if you want? Was also looking at them on AliExpress. Seems to be the only option if you want the near OEM like mounting. Was worried for quality on these and light output on the real OEM ones. There used to be really bright LED aux lights (4000lm each) (sub $100 pair) on ebay and alli express but I don't see these anymore. I bought two when they were available and they turn night into day. If these are anything like mine you will love them at night and feel like you can see much further down the road. I've also experimented with H7 bulb update and LED replacement kits without much success. Aux lights are the way to go I've found although some of the really cheap ones that are available put out too little light to be of much use. Just power from the pos wire on the high beam headlight. The power draw is low enough it will not cause any issues and your high beam switch still works as it should. I purchased a cheap relay but did not need to use. Solder provides for a better (less power loss) and more reliable connection than tap type connectors. Last edited by twowheels; 01-28-2019 at 02:56 PM. If its cheap and within your budget, worth trying it out and on the same whats can be the worst case scenario...some dim lights which you can do some DIY to get it bright. A lot of hesitance when buying from china, and its has been the general market perception, but China is improving at a very fast pace and if you look down in history, the case of HONDA and how its started and where it is now, will give you a idea of what is to come in future from china.Just my 2cts thoughts. Just got these from ebay. We'll see how they go. 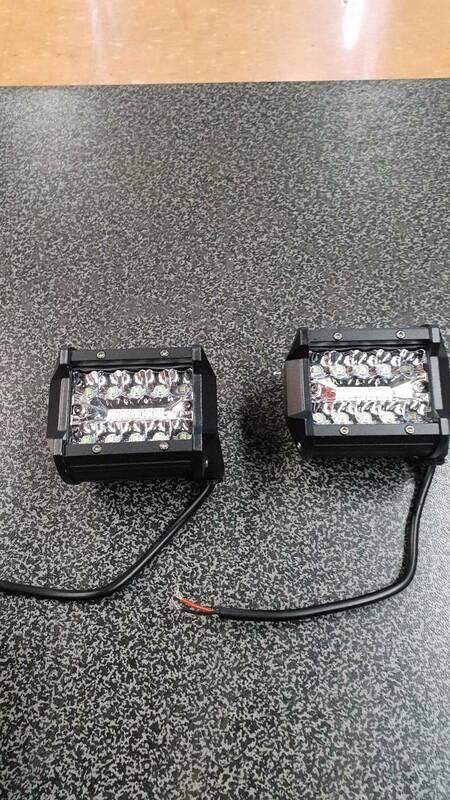 I am not sure if this is old news or not, but check for points of failure on the lights and remedy them before installing. I bought some cheap solar, motion-sensor lights that received bad reviews for leaking. Sealant is cheap, so it may be prudent to look for potential leak areas and seal them. The area between the glass and the housing, the area where the housing disassembles and the area where the cord enters the housing are good places to seal if needed. I sealed my motion sensor lights and panels, and they have been operational for 5 years without failure; besides red squirrels chewing the cords. It's the old "buyer beware" adage, and I would recommend preventative measures before failure. Nothing against the products, just do your best to figure out where they skimped on things and remedy the issues before failure. Last edited by RR Jonny; 03-21-2019 at 10:05 PM. Your radiator cover doesn't have enough openings to pass air through. Remove it or otherwise your bike will overheat in the summer. My bike. Gets to 45 degrees centigrade in WA Australia and I haven't had a problem yet. Did you end up getting these and how do you like them? I saw these lights last year for $25 Ca. each last year and I gave them a shot.Rated 20W, 2000 Lm. per side( which is okay for spots). Very sharp double spots as the light is shot down two cones per side. What intrigued me was the configuration,two emmitors one on top of another. My feeling was that this adjustable,vertical setup would make up for the horizontal wash from our headlights. Got out in the total dark a couple of nights ago and I was pleasantly surprised. And as far as I know,all LEDs are made in China. They knock off lots of stuff that I dont agree with but as far as LED lights they are probably the leaders..
quexpress and Stephen Hewett like this.